As Client Service Manager on the Sadler Georgen Harmon Team, Kirsten Kramer’s focus is building trusted relationships with her clients and providing them with ‘Raving Fan’ service. Her work includes fulfilling day-to-day client requests, managing client relationships, and preparing financial reviews. Kirsten came to Moneta with 10 years of client service experience from both retail and banking backgrounds. 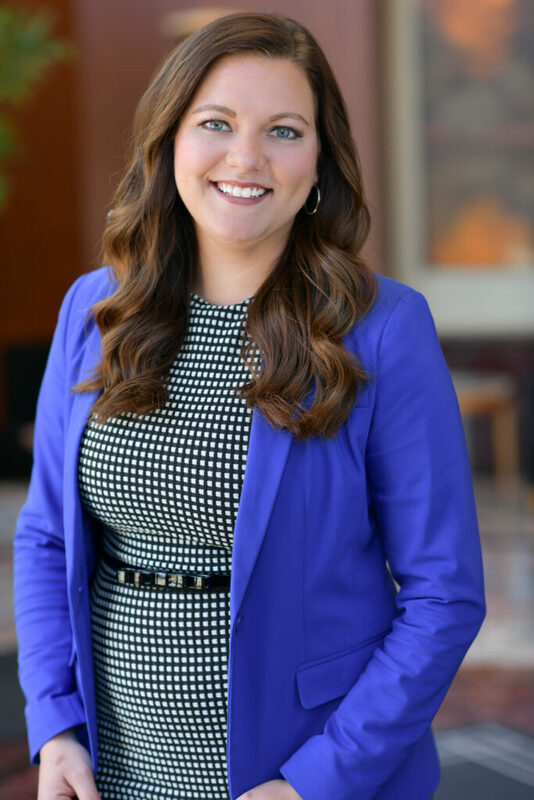 Prior to coming to Moneta, she worked as a Personal Banker at Fifth Third Bank, where she further developed her customer service skills and expanded her knowledge of finance. With the hope of developing deeper client relationships and expanding on how to best help clients reach their financial goals, she joined Moneta Group in June of 2015. Since joining Moneta, Kirsten obtained the Financial Planning Qualified Professional designation in 2017 to expand her knowledge base and technical skills to better assist her clients. Outside of Moneta, Kirsten enjoys music, cooking/baking, traveling, and spending time with her boyfriend and their two dogs.